University of San Diego pitcher Louie Crow (2016-17) will return to the Knights for his third summer with us. 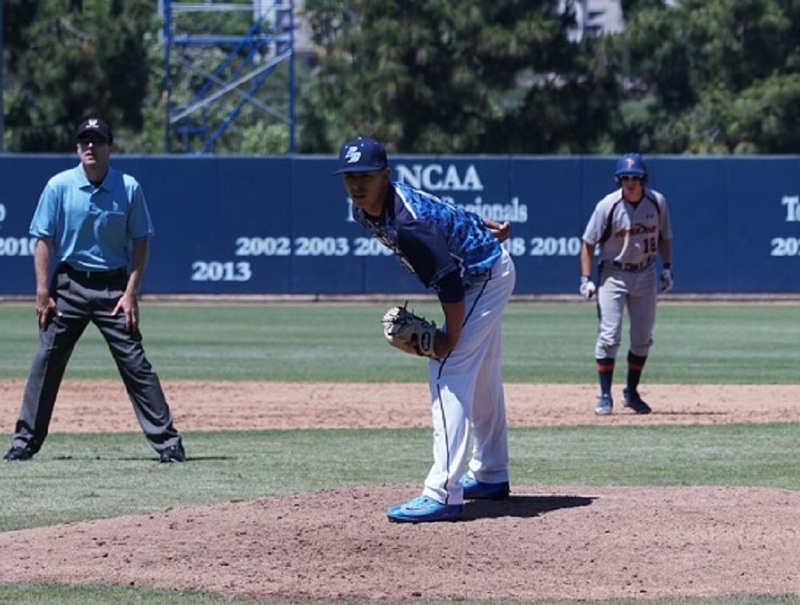 He is a 6-foot-3, 190-pound right-hander from Buena Park High School in Fullerton, Calif. He will be a junior for the Toreros in 2019. Crow was 0-0, 5.60 in 10 games for the Knights in 2017, with 35 strikeouts in 27.1 innings. He was 0-0, 3.17 in four games in 2016, with four strikeouts in 5.2 innings. Crow was ranked as the WCL’s No. 12 pro prospect by Perfect Game following the 2016 season, as the No. 5 prospect by Baseball America and as one of the WCL’s top 12 prospects by D1baseball.com following the 2017 season. He was selected by Milwaukee in the 16th round of the 2016 MLB draft following his senior year at Buena Park HS, when he was the Freeway League MVP. However, he did not sign and instead enrolled at USD, where he lettered as a freshman and sophomore. 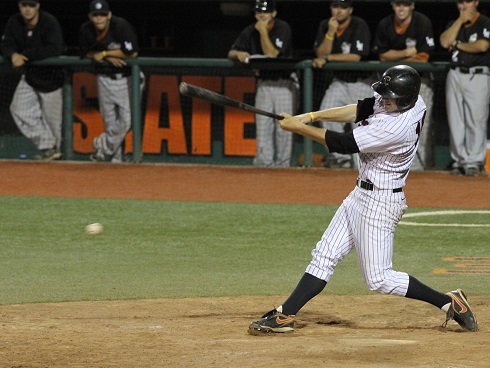 Oregon State middle infielder Nick Madrigal (2015) was selected as the No. 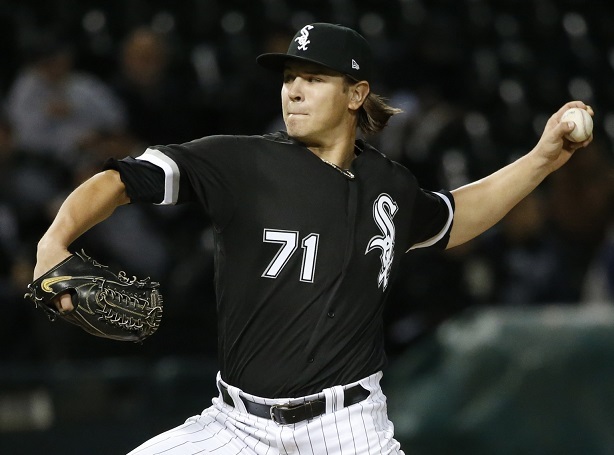 4 overall pick in the MLB draft on Monday night, by the Chicago White Sox. Please click here for complete details on that exciting story; please click here for a Chicago Tribune story on Nick. Grand Canyon pitcher Jake Wong (2016) was taken in the third round, by San Francisco as the 80th overall pick. Incoming Knights’ outfielder Kingston Liniak of Mission Hills, Calif., a San Diego signee, went to Detroit as the first pick of the fourth round, the 105th selection. 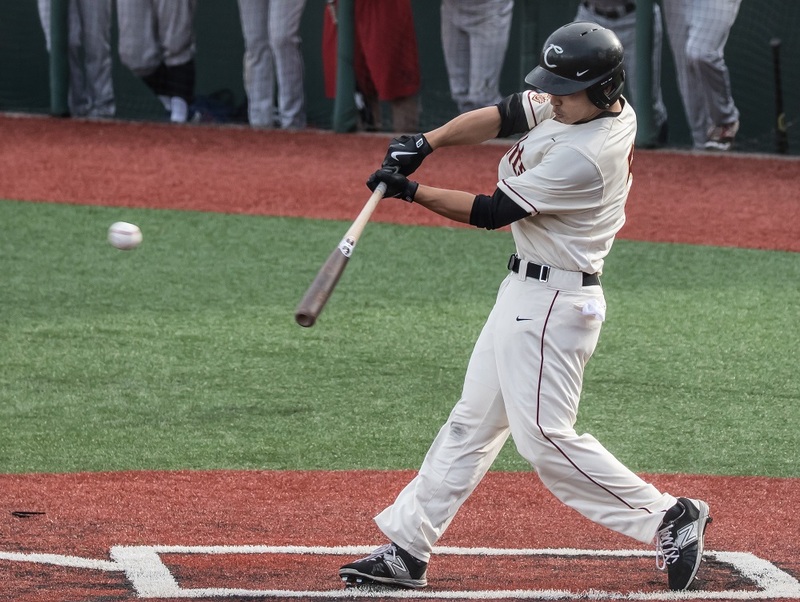 OSU outfielder Steven Kwan (2016) went to Cleveland in the fifth round, as the 163rd pick. We’ll have full details on players drafted in rounds 3-40 on our website later this week. COMPENSATION ROUND A: Cadyn Grenier, Oregon State, Bend, Baltimore Orioles. FOURTH ROUND: Alex McKenna, Cal Poly-San Luis Obispo, Walla Walla, Houston Astros. FIFTH ROUND: Jake Bird, UCLA, Yakima Valley, Colorado Rockies. SIXTH ROUND: Hugh Smith, Whitworth, Wenatchee, Detroit Tigers; Nick Meyer, Cal Poly-San Luis Obispo, Victoria, New York Mets; Drew Rasmussen, Oregon State, Wenatchee, Milwaukee Brewers; Devlin Granberg, Dallas Baptist, Cowlitz, Boston Red Sox. SEVENTH ROUND: Jay Schuyler, San Diego, Yakima Valley, Cincinnati Reds; Daniel Bies, Gonzaga, Bend, New York Yankees; Jarren Duran, Long Beach State, Walla Walla, Boston Red Sox. EIGHTH ROUND: AJ Graffanino, Washington, Cowlitz, Atlanta Braves. NINTH ROUND: Tarik Skubal, Seattle U, Kitsap, Detroit Tigers; Willie MacIver, Washington, Walla Walla, Colorado Rockies. 10TH ROUND: Mike Gretler, Oregon State, Victoria, Pittsburgh Pirates; Austin Lambright, Central Oklahoma, Kelowna, Kansas City Royals. Speaking of Nick Madrigal, he was named the Most Outstanding Player of the Corvallis Regional after leading the Beavers to two wins over LSU and one over Northwestern State and to the regional championship. Other Knights/Beavers to make the all-regional team were catcher Adley Rutschman (2016), first baseman Zak Taylor (2016-18), and outfielder Steven Kwan (2016). Baltimore has returned catcher Andrew Susac (2009) to Norfolk in the triple-A International League. He hit .115 (3-26) in nine games after being called up in early May. He played at OSU. Seattle has released pitcher Marc Rzepczynski (2006). He was 0-0, 9.39 in 18 games, with 10 strikeouts in 7.2 innings. The UC Riverside alum has played for Toronto, St. Louis, Cleveland, San Diego, Oakland, Washington in Seattle in a 10-year MLB career. Corner infielder Taylor Ard (2009) has signed with the Long Island Ducks of the independent Atlantic League. He played for Jacksonville in the double-A Southern League in 2017 before being released by Miami in the offseason. He played at Mt. Hood CC and at Washington State. Our 2018 season and single-game tickets are now on sale! For more details or to order your tickets online, please click here. Tickets may also be purchased by calling us at 541-752-5656 or by visiting our office at 4th Street and Jefferson Avenue in downtown Corvallis. See you at the ballpark in 2018! Beginning this season, most of the West Coast League’s member teams are airing their home games over online streaming video. As part of the WCL’s move to video broadcasting, fans can now connect with the league throughout the season unlike ever before with a new weekly streaming video Game of the Week broadcast. Starting on Thursday, the WCL Game of the Week will be streamed every Thursday, available for free at westcoastleague.com. For more details, please click here. The WCL’s Moss Adams Player of the Week and Pitcher of the Week for June 1-3, as announced by league commissioner Rob Neyer, are UT Martin junior outfielder Jordan Stoner of the Bellingham Bells and Lower Columbia College frosh pitcher Mitch Lines of the Cowlitz Black Bears. That’s all for today. Have a great week, Go Beavers, and we will see you on Friday.